When you need to access the Internet via WiFi, it’s not too hard to find a hotspot if you’re in the right location, and the SSID usually gives you some clue as to who is providing it. What if you instead generated network names in order to communicate with people attempting to log on? 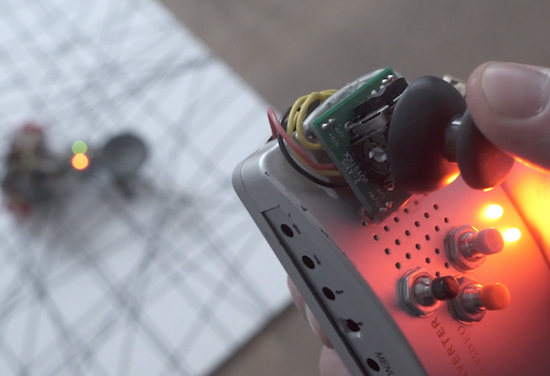 That’s the idea behind Hot Ninja, made by Moscow-based artist Dmitry Morozov, better known as “::vtol::.” His device uses a trio of ESP8266 modules to form and name three different networks, giving him 96 characters with which to message the surrounding area. If other gadgets do log on, Hot Ninja can also create a registration page with more information and even the ability to message back and forth. An Arduino Mega serves as the brains of this portable device, and a keyboard and OLED screen form its user interface–shown in the video below. Multifunctional network device for autonomous activity in the city environment. Its main function is communication and propaganda through the WiFi wireless standard. This is the hacktivism DIY response to attempts by the authorities in different countries to control the Internet. The project serves as an example of the possible opposition and decentralisation of networks to ensure communications and provide notifications irrespective of whether there is access to the global internet or certain restrictions are applied. 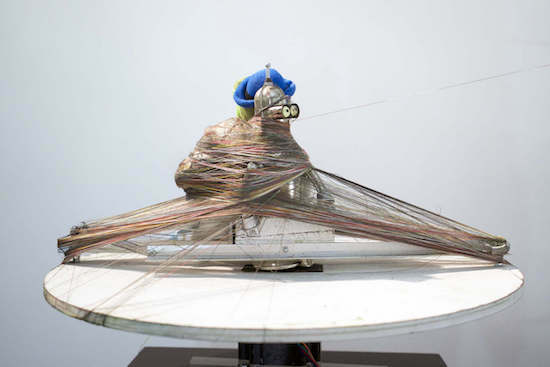 Have you ever wondered what television would look like if transposed onto string and wrapped around another object? 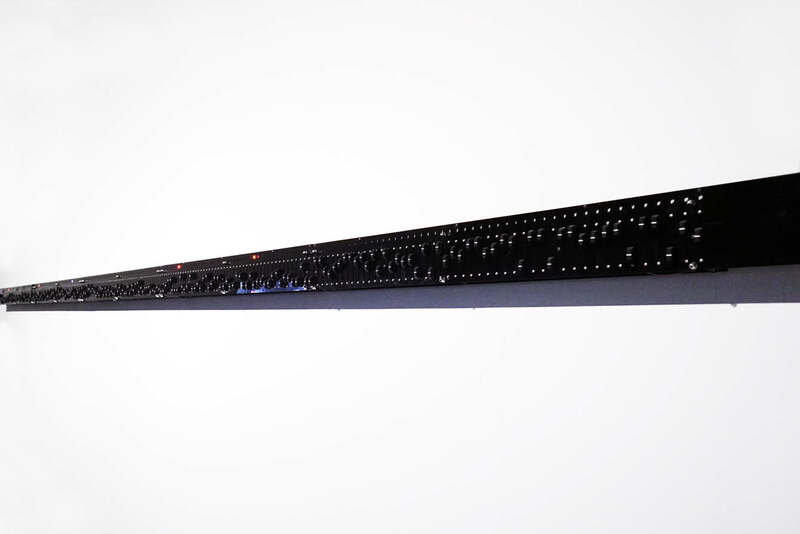 If so, you’re not the only one, as shown in this teleknitting sculpture. This multi-colored string is then wrapped around an object (or objects) rotating on a pedestal, the height of the string being controlled by the TV signal’s volume. As you can see below, the character Bender from Futurama along with an alligator bearing an accordion act as the items being wrapped in TV-string. You can find more details of this build on ::vtol::’s website, along with a number of his other Arduino-based interactive projects. 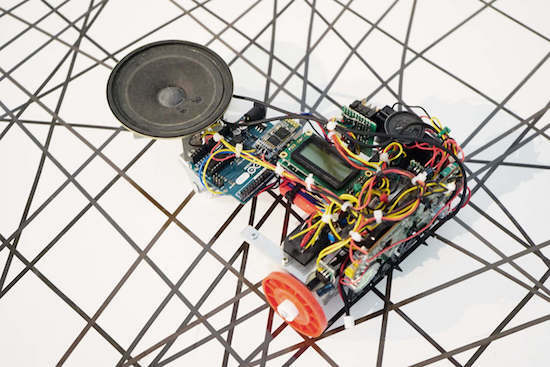 This robot is a cool new way to use cassette tapes! Though tape players persisted in vehicles for much longer than needed, cassettes are pretty much an obsolete format. 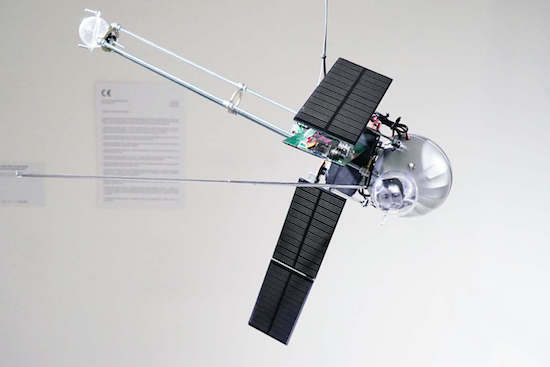 That doesn’t mean they can’t be useful, as this project by Moscow-based media artist ::vtol:: shows. 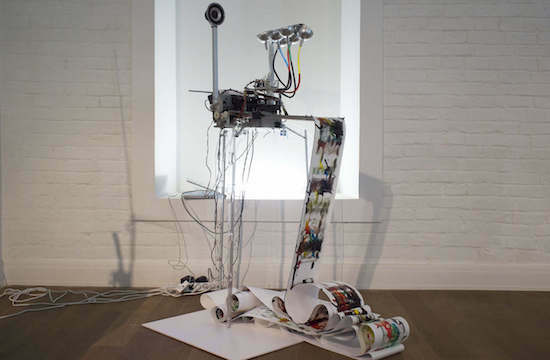 His interactive robot, dubbed “pzr-10,” traverses a canvas littered with unwound tape, while two heads read the data off of it. Using an Arduino Uno, this data is then transmitted to the built-in loudspeaker and played aloud. Audio can be looped and processed in various ways, giving the user a unique audio experience! A customized remote operates the robot. The controller is equipped with an Arduino Nano and a joystick that guides pzr-10, while buttons manipulate the sound. 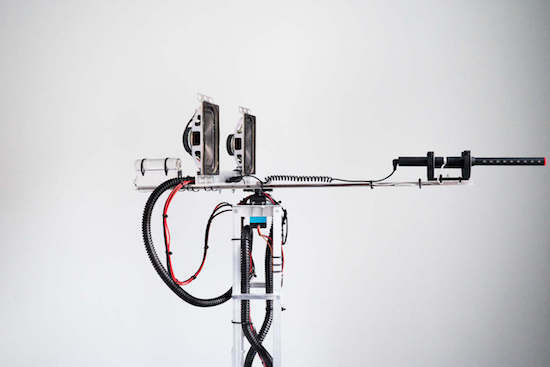 You can read more about the robotic installation on ::vtol::’s page. First, the Collector records the sounds until it has gathered 100 samples. From there, it plays the result as a loop through a pair of speakers for one minute, so they can be heard by those nearby. While this mode, the recording stops. After that, it erases everything and begins a new search. 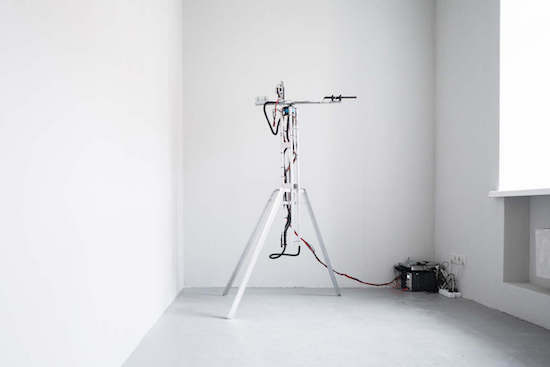 Moscow-based hacker artist ::vtol::, a.k.a. Dmitry Morozov, is back with another impressive project. 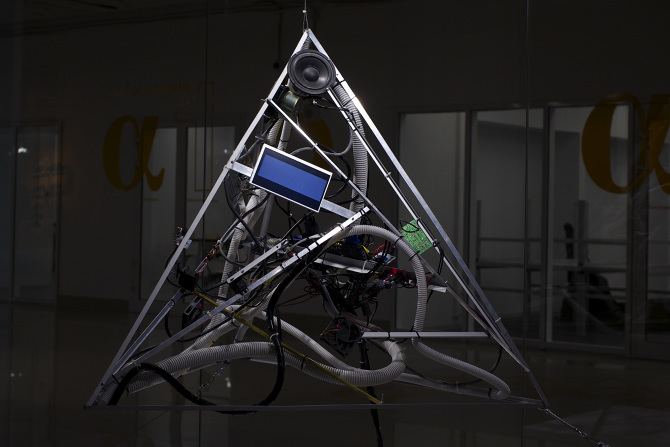 His latest, called 2ch, is an interactive, pyramid-shaped instrument that enables two people to communicate via mind activity. 2ch consists of two NeuroSky EEG interfaces worn by both users, as well as two servo motors with a hall sensor and magnet, a two-channel sound system, a couple screens, and an Arduino. 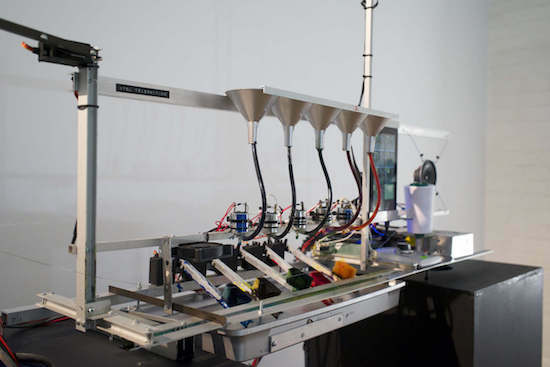 In terms of software, the instrument uses Pure Data and Max/MSP. 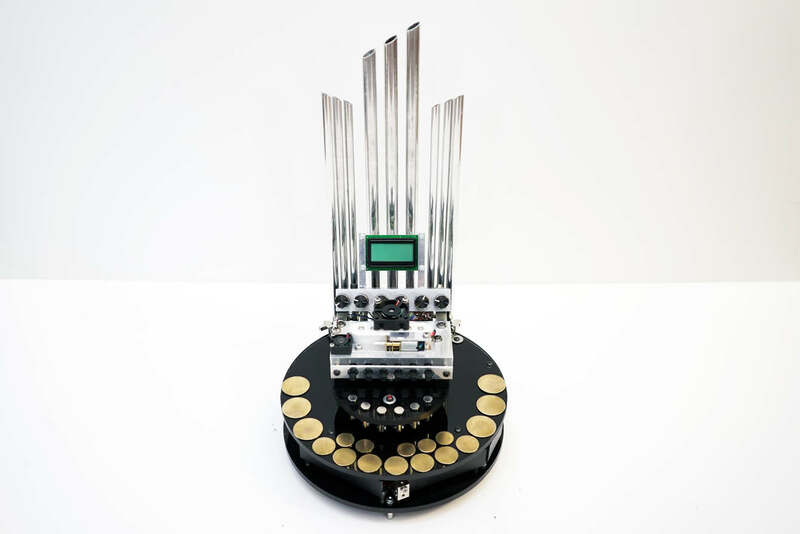 The project is an instrument for communication between two people by means of visualising the electroencephalograms of two members, which are translated into sound, mechanical motion, and video images. Two participants should try to synchronize their minds, guided by the pitch of the tone, visualisation and movements of mechanical parts. You can read more about the brain-to-brain interface on Co.Design, and see how it works below! 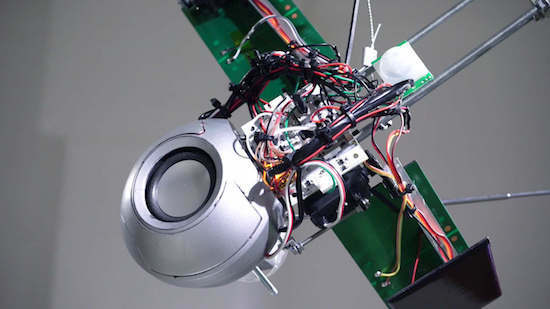 Russian artist ::vtol:: is no stranger to the Arduino blog. 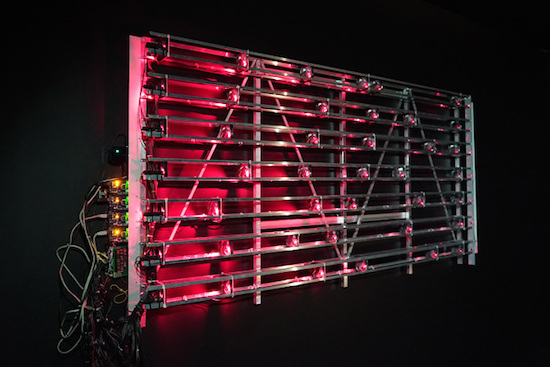 His latest project–which was designed for the Polytechnic Museum Moscow and Ars Electronica Linz–is an autonomous light-music installation called “Divider.” The wall-mounted soundscape consists of seven lasers that horizontally send rays through 42 fans, which act as modulators to turn the light signals into rhythmic impulses. 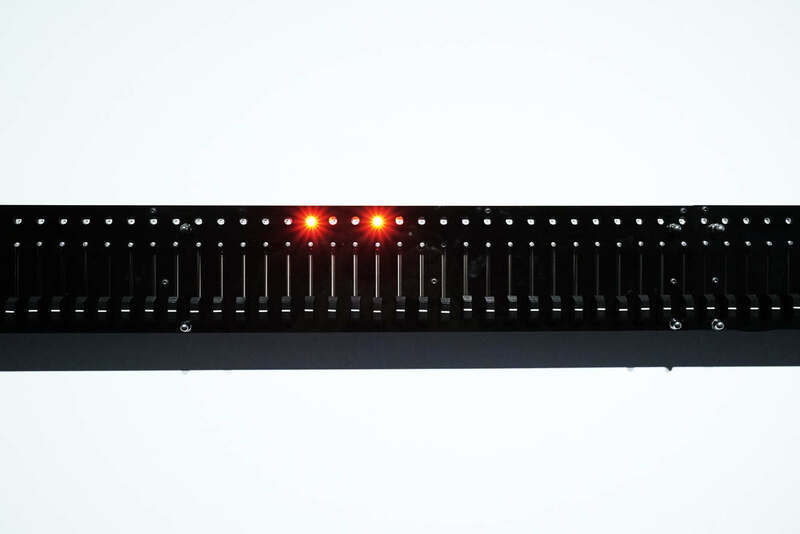 Seven photo sensors on the end monitor the presence or absence of light, while four Arduino Mega boards control the system. 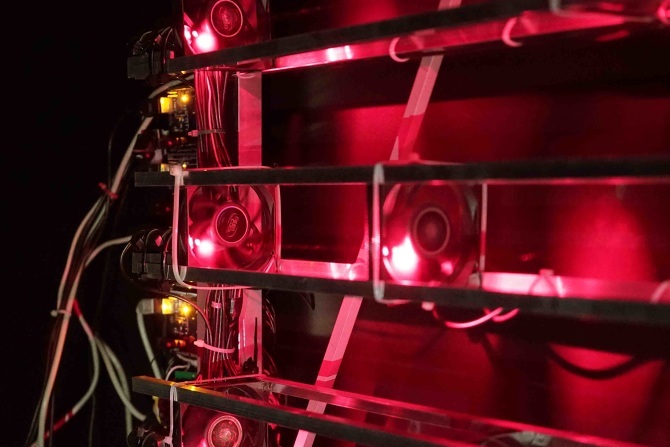 The lasers serve a “independent binary variables” which become the basis for all sound composition. Since the fans can each spin at variable speeds, this allows for a constant shift of modulation phases and a wide range of noises. 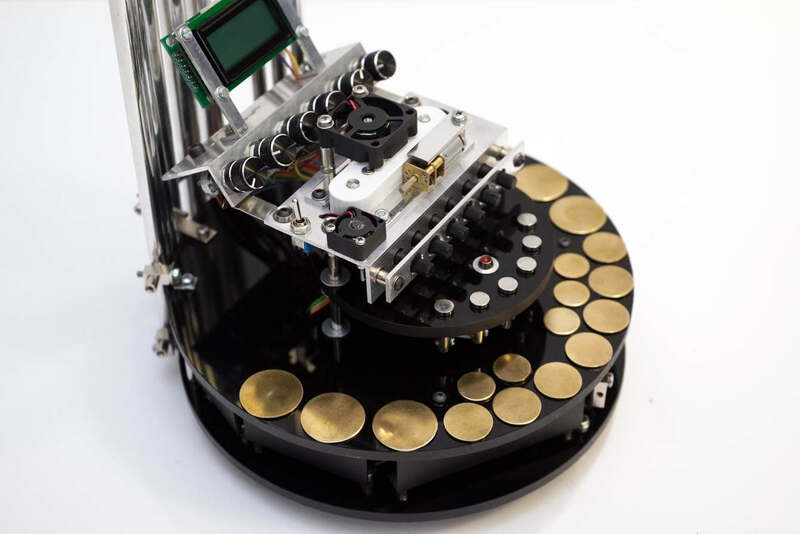 According to ::vtol::, the Divider is inspired by Léon Theremin’s Rhythmicon, the world’s first rhythm machine. The 1931 device also used rotating discs to interrupt light rays and optical sensors to pick up light and produce rhythms. Sound interesting? Wait until you see it perform below! You can also check it out here.